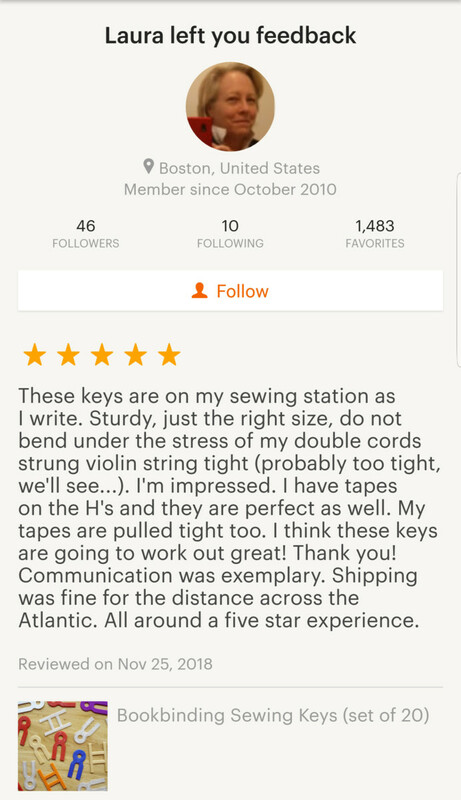 I do it rarely, preferring not to boast too much, but sometimes I just want to share all these positive reviews iBookBinding’s shop at Etsy gets! That doesn’t mean I’m not grateful to all the other clients! My wife can confirm that I greet every new sale with a small dance! By the way, during the three years of the operation of our Etsy shop (it’s a bit confusing, but it is called BonefolderClub) we had only one 4-star review. All other reviewers gave us full 5 stars! Why is it called BonefolderClub, when we also have a shop with a name iBookBinding at Etsy? The thing is, I created it even before I became the owner of iBookBinding.com in 2015. And I decided to check whether the previous owner had created an account for iBookBinding at Etsy only after I had some first sales and positive reviews.